15, July 2016: As the market leader, Airwheel save consumers much time while choosing which brand to buy. But the various Airwheel products also make it hard for consumers to make their specific decisions. Indeed, how strong the performance or which type the scooter is matter the least. 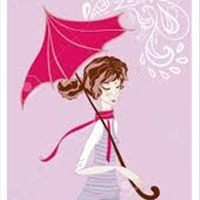 The key point is to choose the one that is most suitable to you. Airwheel self-balancing electric scooters are smart and fashionable choices for transport, and have won the love from many consumers. But the various Airwheel products also make it hard for consumers to make their specific decisions. Indeed, how strong the performance or which type the scooter is matter the least. The key point is to choose the one that is most suitable to you. 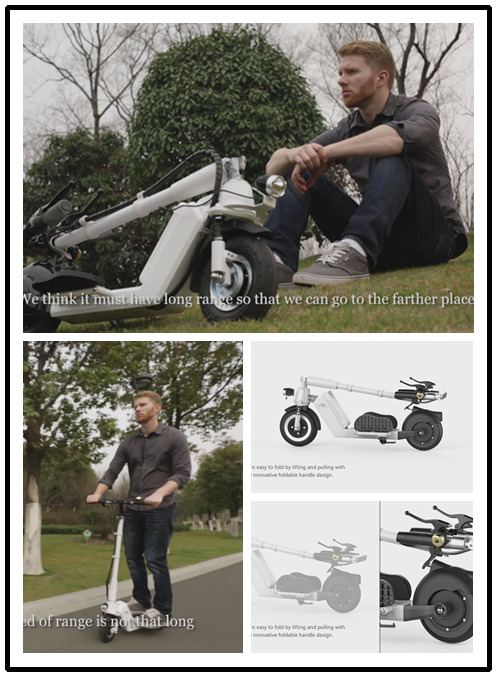 From the single-wheeled electric scooter X series, twin-wheeled electric scooter Q series, two wheel self-balancing electric scooter S series, sitting posture self-balancing scooter A series, and foldable electric scooter Z series to Airwheel electric skateboard M series and E series of folding e bike, Airwheel keeps on innovation and upgrading the design to satisfy more individuals’ requirements. Among the series of Airwheel products, Airwheel S series, Z series and E series are recommended. For instance, the Airwheel S8 saddle-equipped scooter supports dual ride mode that is unique in the current market. When it comes to the working principle, it can estimate the dynamic condition of scooter body in real time relying on the built-in precise gyroscope system. Then, intelligent chip will calculate the real-time dynamic condition and give commands to drive motor so as to make adjustment and ensure long-time dynamic balance. 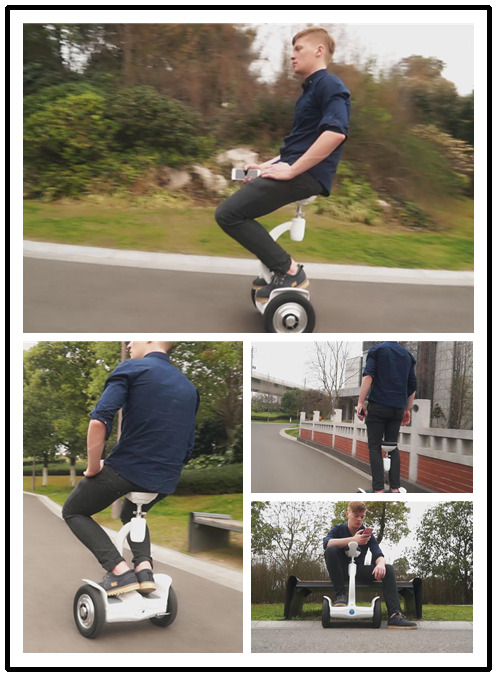 Either in standing or sitting posture, Airwheel S8 will provide you graceful riding posture. Interlacing standing posture applied in traditional electric scooters leaves us a bad impression. The standing area is too narrow to allow two feet standing in parallel. Given that, Airwheel Z5 2-wheeled electric scooter alters the interlacing standing posture to the foldable pedals. Also, the battery of Z5 is designed in modularity with an USB port. Such trendy design continues in Airwheel E6 electric bike kit. Airwheel E6 selects the rubber saddle in left-right design with balanced force and good ventilation.